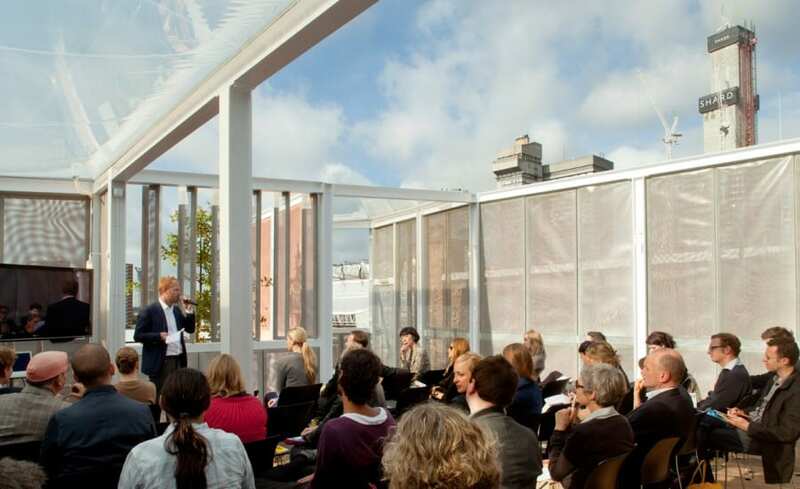 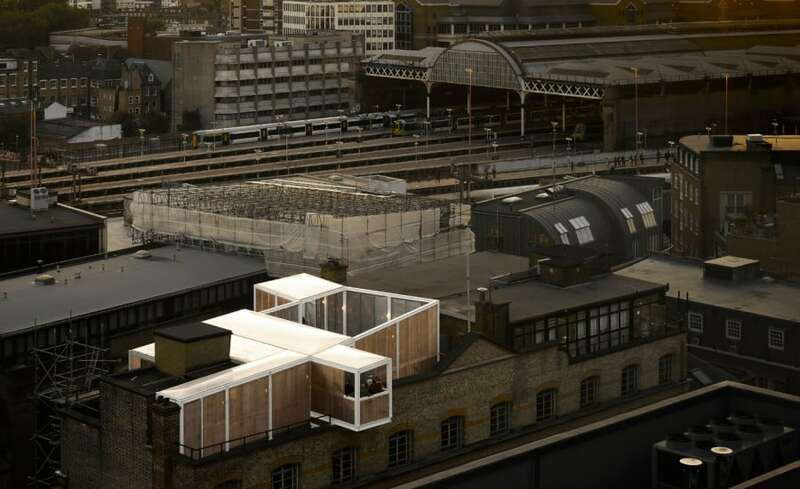 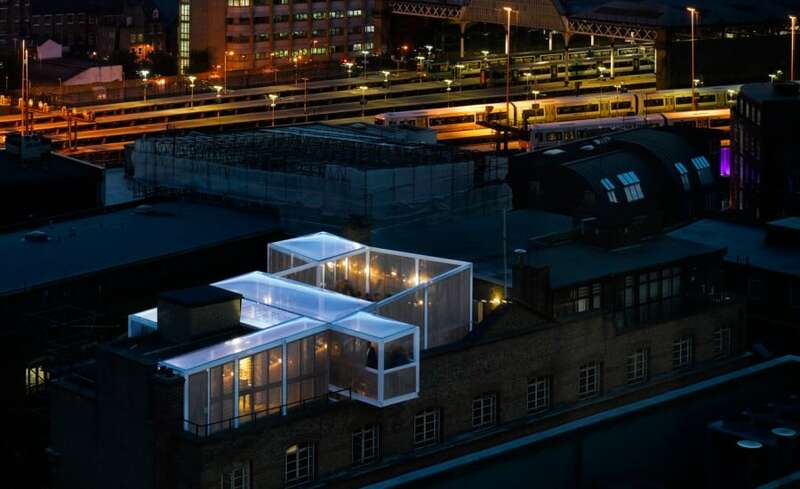 As part of the 2010 London Design Festival, Young Architect of the Year 2010 David Kohn designed an outdoor rooftop public space that can be used for meetings, lectures and social events. 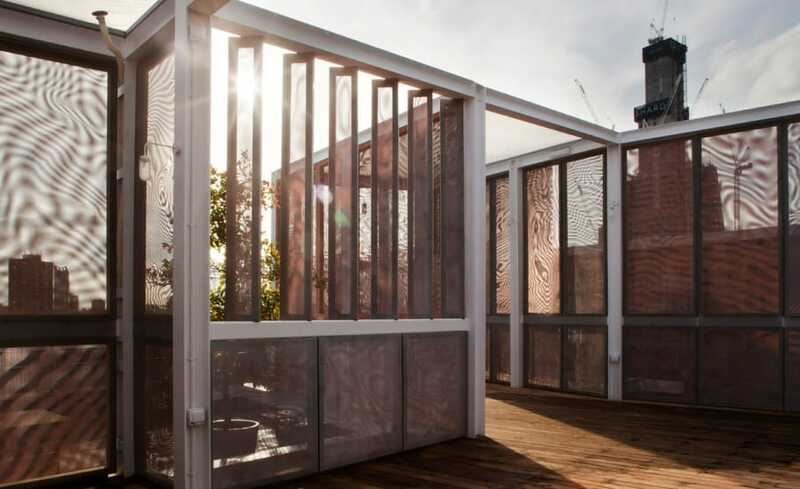 The building was commissioned by Roger Zogolovich at Lake Estates in collaboration with the Architecture Foundation. 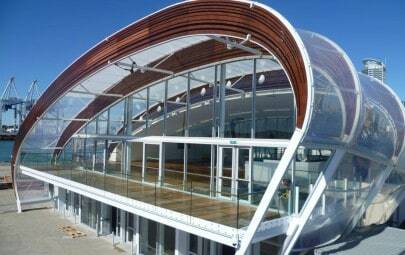 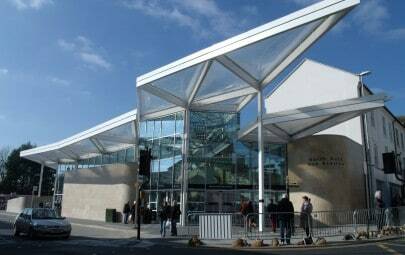 Architen Landrell were awarded the contract to design, manufacture and install an ETFE roof comprising of a single layer ETFE and four ETFE cushions which would maximise light transmission and create an open air feeling. 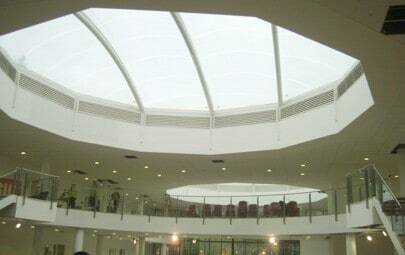 ETFE has similar properties to glass but it is lighter and transmits more light, it is also more resilient, can bear up to 400 times its own weight and due to its non-stick surface is low maintenance. 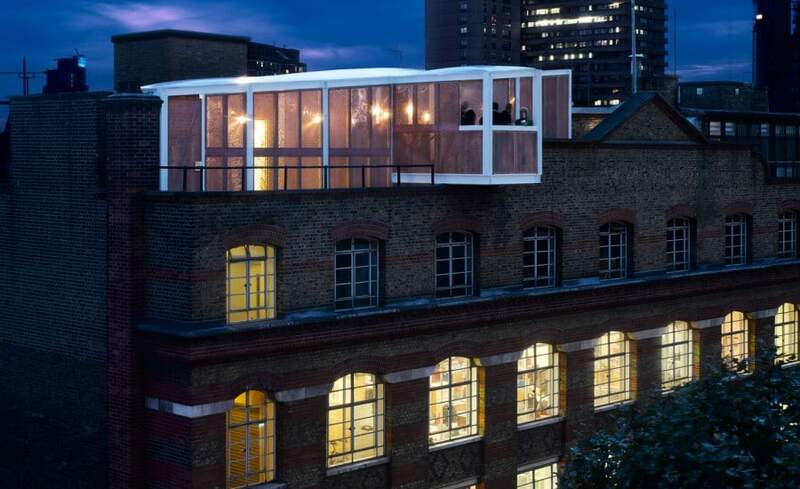 The Skyroom incorporates the latest building techniques and includes exciting features such as a cantilevered balcony overlooking Tooley Street with views reaching as far as the Tower of London to the South and the Strata to the North. 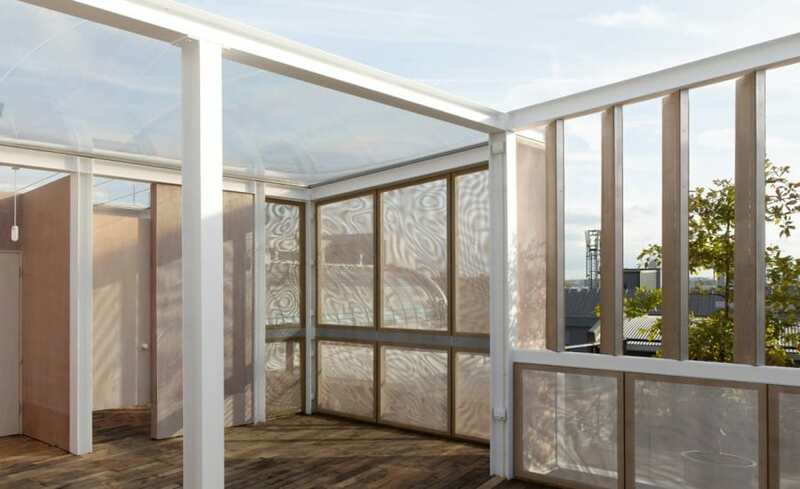 The roofing panels were designed to be added to the flat roof space on top of the 7th storey existing building.